Legendary American musician Bob Dylan has won the 2016 Nobel prize in literature, the first songwriter to receive the prestigious award. Throngs of people who had gathered for the announcement in Stockholm, Sweden’s Old Town reacted with a loud cheer when Dylan’s name was read. He had been mentioned as a possible Nobel prize winner in past years but was not seen as a serious contender. Dylan was born in Duluth, Minnessota on May 24, 1941 and raised in a Jewish middle-class family. He taught himself to play the guitar, harmonica and piano. 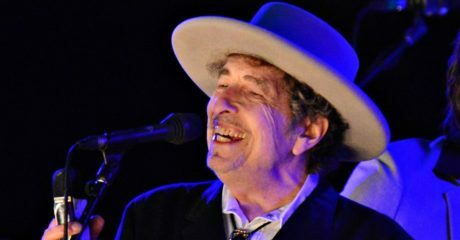 Dylan’s best known works are from the 1960’s, when songs like ‘Blowin in the Wind’ became anthems for the anti-Vietnam war and civil rights movements. He also won the Pulitizer Prize in 2008 for his contributions to music and American culture. His 1965 classic “Like a Rolling Stone” was named the greatest song of all time by Rolling Stone magazine. “No other pop song has so thoroughly challenged and transformed the commercial laws and artistic conventions of its time, for all time,” the magazine said. Dylan will receive $906,000 in prize money for the literature award. There are a total six Nobel laureates, each of whom will receive a gold medal and a diploma at a formal ceremony in Stockholm on December 10.